Looking for a Lone Star Flag to wave proudly in front of your building? 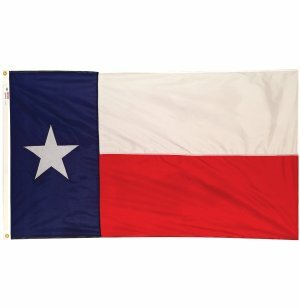 This Outdoor Texas State Flag lets you display the independent Texan spirit just about anywhere. With a durable design and dependable materials, your flag will be flying high for many years to come. This Texas flag is designed for maximum use and aesthetics. The blue, white and red stripe are sewn together to create a permanent, beautiful design. Nylon will maintain its prominent colors for the long term while providing an appealing gentle wave in the breeze. 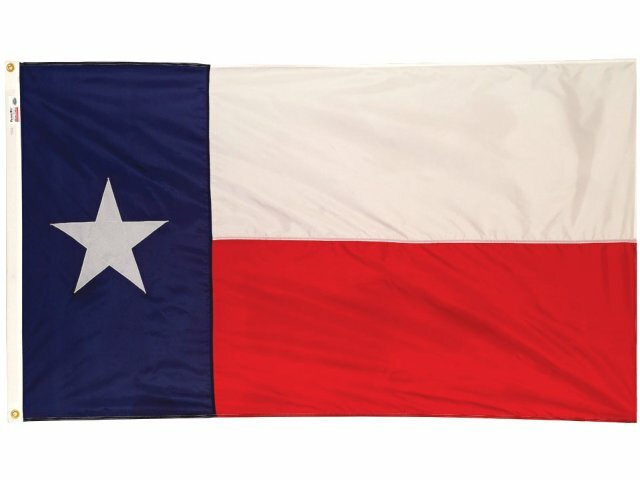 Promote the state values of loyalty, purity and bravery with this elegant Texas State Flag from Valley Forge Flag. Lone Star Pride: Texas flag symbolizes state unity, loyalty, purity and bravery. Dependable Construction: Flag components are sewn together for long-term durability.